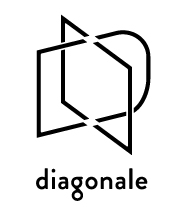 Located in the heart of Montréal’s nerve centre for visual and media arts presentation, Diagonale is directly connected as a key player on the Montréal scene. Dedicated to exhibiting contemporary art as it relates to the medium of fibres, the centre presents five exhibitions annually, as well as conferences and a publishing program, through special partnerships with analogous organizations throughout Canada and abroad. This annual fundraising event allows Diagonale, a non-profit organization, to carry out its development projects and its support to emerging and established artists and curators. Each year, dozens of artists contribute to the centre’s development by donating part of the proceeds from the sale of their work.